Constant worry about your care recipient, sleepless nights, changing behaviors and shifting moods, lack of support from family and friends, scarce time to yourself – all of these and more can be part of life as a caregiver. All of these stressors build up over months and years of caregiving, to the point where your own physical and mental health can start to suffer. Self-care must become part of the plan. The thing is, eventually, if you don’t take care of yourself, you will not only not be able to care for your loved one, but you may end up needing a lot of help yourself. It may feel selfish in the short-term to go out for dinner or take a nap while someone else watches over your loved one for a while. It may even feel selfish to take 10 minutes listening to music and breathing when there is laundry to be done and appointments to be scheduled. This isn’t true. If you are putting in a lot of time and energy into caring for a family member or friend, then you are a caregiver. You need to take care of yourself, too. 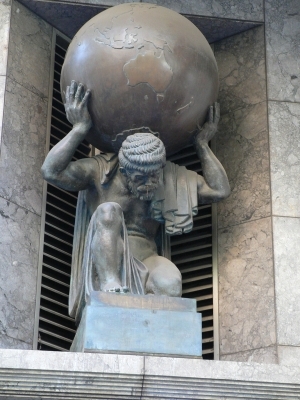 You cannot carry the weight of the world on your shoulders indefinitely. Make the time for self-care, so that you and your loved one can stay healthier and happier for as long as possible. What are your best ways to care for yourself if you only have 10 minutes? What if you had an hour? A day? Please leave your comments below. Yoga is great for relaxation, but it’s all about your inner self– I find it to be very isolating, especially since the class is spent listening to one person talk. Oh yes, I love cooking good food, too. There is such pleasure in that. Thanks Rachelle! Self-care is sooo important when we are taking care of the needs of others. Thanks for this reminder! How about enjoying your preferred music when you shower? Wash the body and the soul. Nice! I did that last night, actually. 10 minutes? I like to look up funny videos on my phone while waiting in the carpool pick-up line. Laughter is the best self-care for me. Hi Rachelle – Thanks for this reminder that we all need to choose self-love! I think this reminder is critical (in fact, I think I have a post in my archives with a nearly identical title). And I think that the myth that self-care = selfish is so pervasive that we need lots of different voices spreading this message and looking at from all angles. Thanks for yours.